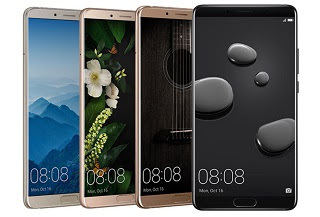 Huawei Mate 10 and Huawei Mate 10 Pro are two amazing device which features a 5.9-inch display with a resolution of 2560 x 1440 pixels and 6-inch display with a resolution 2160 x 1080 pixels respectively. Both device comes with a 4000mAh battery with fast charging powered by a Octa-Core Huawei Kirin 970 processor. In this post, we will be sharing with you how to unlock bootloader and root your Huawei Mate 10 and Mate 10 Pro. As we all know, rooting your device gives you superusers right over your device. Some benefit of rooting your Huawei Mate 10 and Mate 10 Pro includes; helping to increase battery life and over all performance of your device and as well give you access to install custom ROM and custom kernel. Rooting can also may it possible to block Ads in apps with the help of ad blocker. Note: Before rooting make sure make sure your smartphone is charged up to 50-60%. To being the process, first you not to unlock bootloader for your Huawei Mate 10 and Mate 10 Pro. You can do this by following the process listed below. First, you need to enable ‘USB debugging’ and ‘OEM Unlock’ option from setting - developer option - To enable Developer Options, go to About phone and tap the Build Number 7 times. Then Install ADB and fastboot driver for windows and then restart your PC. Next you create an Huawei id HERE. Follow this by filling out the detail you created HERE. It will ask for a product identification code, (to know that dial * # * # 1357946 # * # *) fill the MEI code and submit. Now you have unlock code. Save it for later use. Now go to ADB and Fastboot installation directory open ADB folder and open the command window there by pressing and hold the ‘shift’ key and right-clicked anywhere in that folder. Now connect your phone to PC and reboot the device into fastboot mode by typing “adb reboot bootloader”. Type “fastboot devices” in command prompt and hit enter, it gives you serial numbers in return means your phone connect properly. To unlock bootloader of Huawei Mate 10 and Mate 10 Pro, type “fastboot oem unlock unlock key”. Replace unlock key with the key you got. Download FunkyHuawei Huawei Mate 10 Rooting tool from HERE and then extract it. Now Connect your Mate 10/Mate 10 Pro/Mate 10 Proche Design to your PC via USB cable and launch “FHMate10Tool.exe“. Type “1” and hit ENTER. Follow the on-screen instructions to begin the rooting process. Once the process finished, your phone will be reboot. Now your device data may be deleted but you will find SuperSU installed on your device. The process above will help you unlock bootloader and root your Huawei Mate 10 and Mate 10 Pro smartphone.